If you have a new project that you’re interested in talking with us about, fill out the form below and we’ll get back to you within 24–48 hours. If you require an NDA, we can provide one after an initial phone conversation. 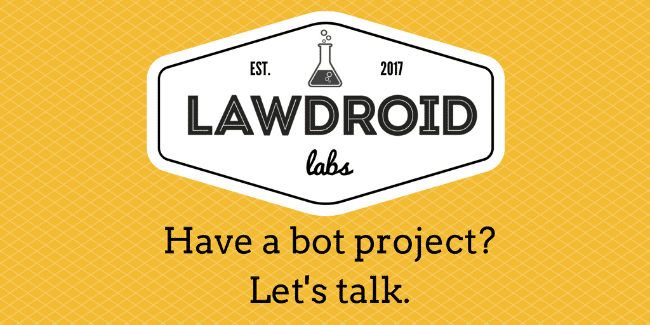 Tells us about your bot project.